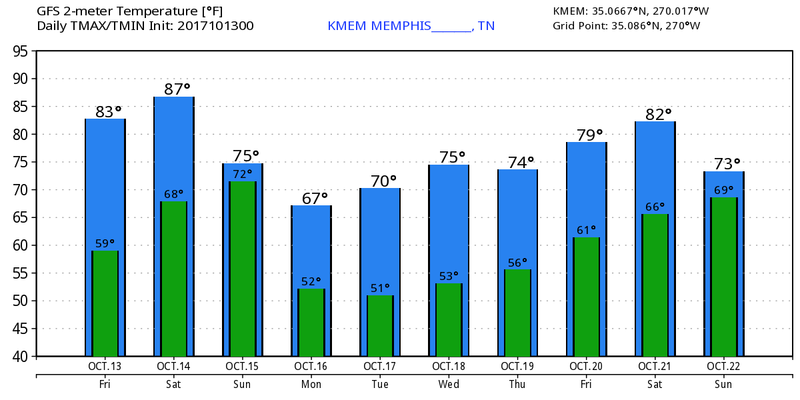 The past couple of day have provided some evidence that fall is indeed here, while the warmth this afternoon and Saturday remind us that "fall" is relative and includes peaks and valleys. Back to weather... As for what comes next - a return to the fall weather we expect in mid-October! A cold front moves through the Mid-South early Sunday. A warm start turns to off-and-on showers, a gusty north wind, and temperatures that don't move a lot from the morning lows in the upper 60s. Humidity falls on that north wind as temps only peak in the mid 70s. Don't expect a lot of sun, but I also don't expect prolonged rain. 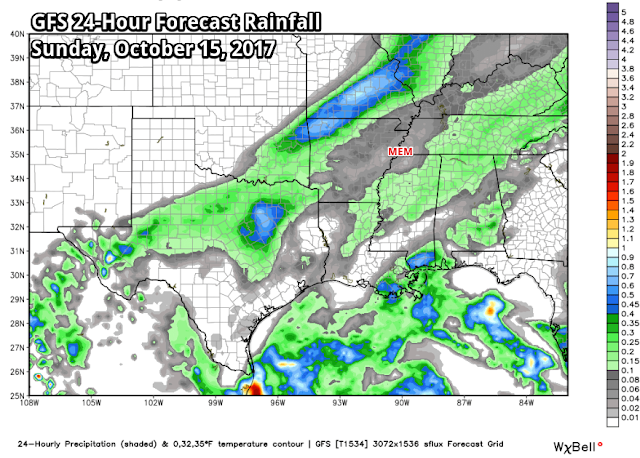 Precipitation earlier this week helped the dry ground that had developed, but don't expect enough Sunday to continue the trend. 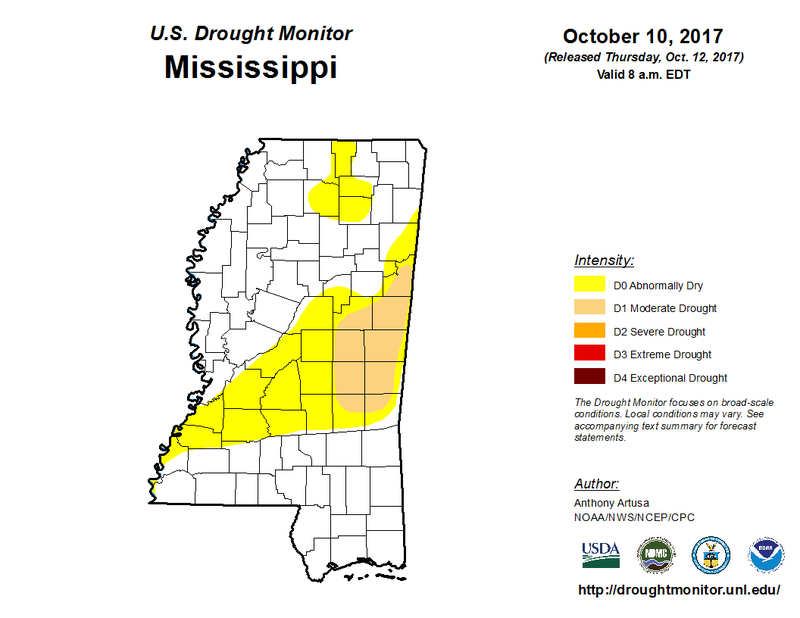 No drought indications are currently showing up in west TN or east AR, but parts of north MS have moved into the "abnormally dry" category on the most recent Drought Monitor. 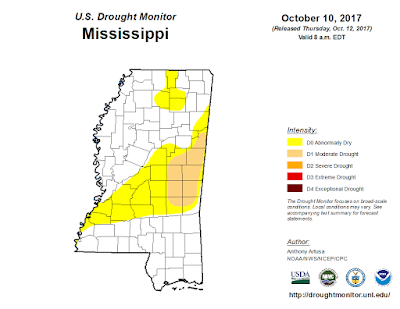 The Drought Monitor shows D0 (abnormally dry) conditions over parts of north MS. Looking ahead to next week, the first few days post-front look stunning, and the rest of the week doesn't look half bad! Sunny skies pervade as cooler high pressure builds in. Highs for most of the week will be in the 70s (though we might not quite make it there on Monday). Evenings will be cool with low humidity allowing temperatures to drop quickly once the sun sets - which is now getting closer to 6:00 than 7. Mornings will be crisp (I've been waiting to use that word!) with lows near 50° in the city and into the 40s in rural areas. Now THAT is fall! A slow warming trend takes place by week's end, though clouds will also start to increase as the next system approaches about a week from now. The good news is that the warmest days behind this weekend's front will be closer to 80° than 90°. Yet another sign that we're nearing Halloween. Enjoy this time of year - before you know it, we'll be complaining about it being too cold! 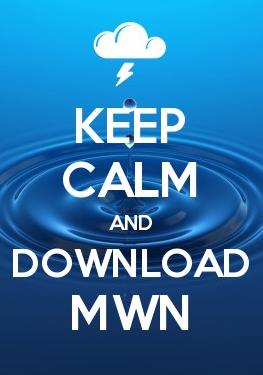 Keep tabs on the temperature swings and precipitation chances with the MWN mobile app and our social media feeds! Links are provided below.